The Summer looks very bright for casino players, as the finest online casinos are planning to organize some really nice promotions for the competitive gamblers. Both, Lincoln Casino and Liberty Slots will host some exciting new promotions and bonus campaigns, all of which are accessible for the US residents, so join America and behold the best that online gambling has yet to offer. With the USA players accepted to the lobby, there will be all the fun and games that one can simply imagine, starting with Weekly Bonuses and Comp Points, a 5K Labor Day Tournament, Dog Days Tournaments, the August Specials, Daily Free Rolls and lots of Mobile features to collect. Remember to reserve your time in August to spend some quality gaming at Liberty Slots and Lincoln Casino, where all the fun will be held and carried out, courtesy of the Slots Vendor exclusively. Stay tuned for even more updates and occasions to join the everlasting entertainment provided by the best online casinos around. 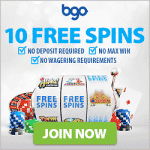 – Get any of the deposit bonuses provided weekly at Liberty Slots. Each day will bring a fixed percentage amount of the match granted in this bonus: 100% – Fridays, 75% – Mondays, 50% – Wednesdays. There will be also some extras on the initial deposit available on Saturdays and Sundays – 75% each. – At Lincoln Casino the deposit bonuses will be offered also with a varying amount, with 100% on Thursdays, 100% on Saturdays and 90% on Sundays. – Earn double comp points by wagering on the Progressive Slots like Red White and Win or Mine All Mine at the Liberty Slots and Lincoln Casino sites. – Participate in the Labor Day Tournament hosted by the Liberty Slots and Lincoln Casino, by registering and playing during this event that will last from the 28th of August until the 8th of September, with a main prize of $1000 for the first place. – From the start of this campaign till the end of August 15th, daily Dog Days Tournaments will bring a chance for winning even $500 at Lincoln Casino and Liberty Slots. – The August Specials Tournament will be carried out each day from the 16th to the 31st of August, presenting an opportunity to win $500 at Lincoln Casino or Liberty Slots.